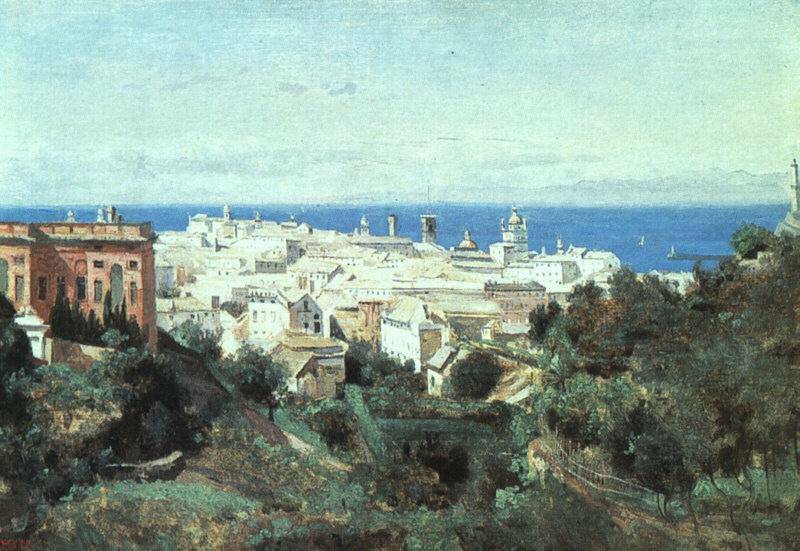 c. 1866 (120 Kb); Oil on canvas, 132.8 x 97.6 cm (52 1/4 x 38 3/8 in); The National Gallery of Art, Washington, D.C.
At the age of 26 he abandoned a commercial career for art, and from the first showed a strong vocation for landscape painting. He lived in Paris, but travelled about France making sketches from nature and from these he composed in his studio. In addition to his journeys in France, he visited England, the Low Countries, Switzerland, and Italy three times (1825-28, 1834, and 1843). 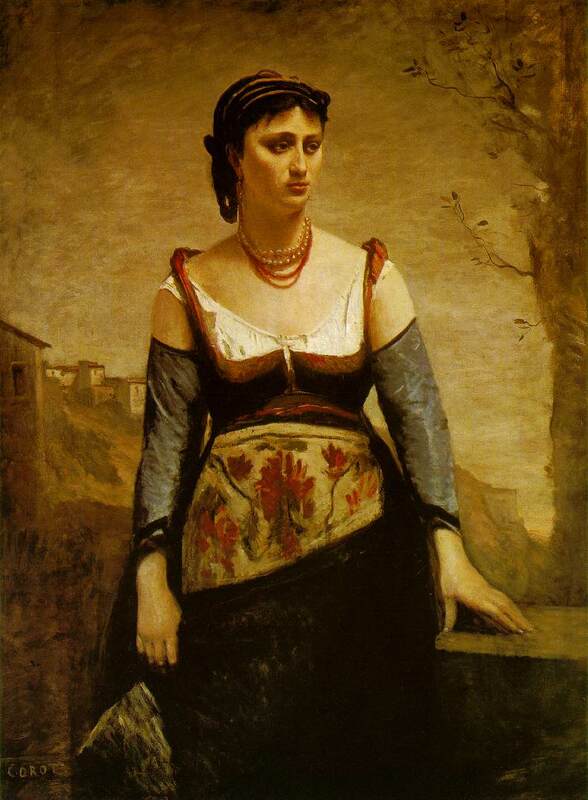 Throughout his life Corot found congenial the advice given to him by his teacher Achille-Etna Michallon `to reproduce as scrupulously as possible what I saw in front of me'. 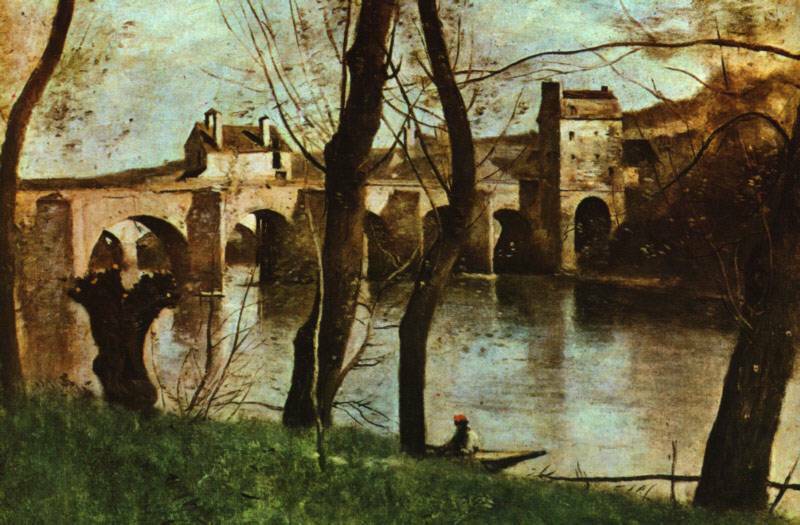 On the other hand he never felt entirely at home with the ideals of the Barbizon School, the members of which saw Romantic idealization of the countrysite as a form of escapism from urban banality, and he remained more faithful to the French Classical tradition than to the English or Dutch schools. Yet although he continued to make studied compositions after his sketches done direct from nature, he brought a new and personal poetry in the Classical tradition of composed landscape and an unaffected naturalness which had hitherto been foreign to it. Through he represented nature realistically, he did not idealize the peasant or the labors of agriculture in the manner of Millet and Courbet, and was uninvolved in ideological controversy. 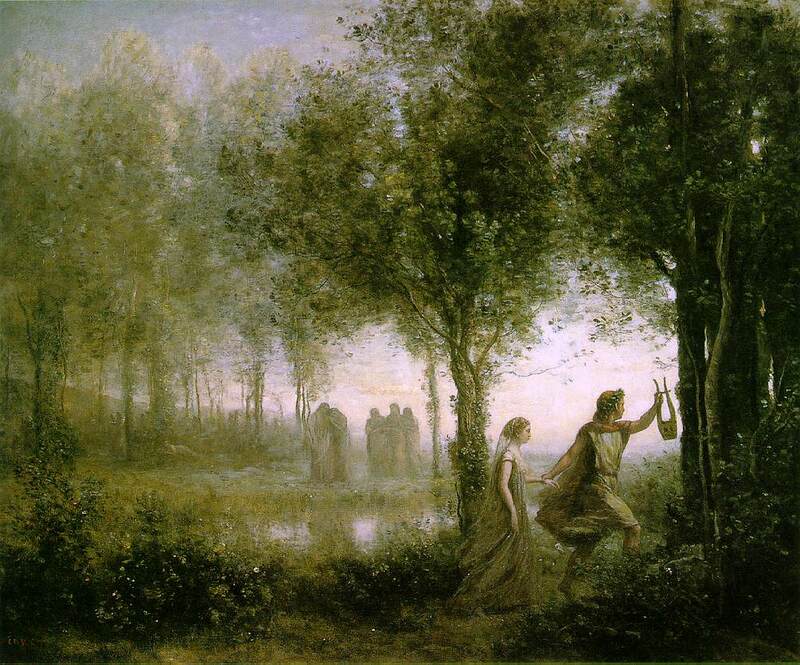 From 1827 Corot exhibited regularly at the Salon, but his greatest success there came with a rather different type of picture -- more traditionally Romantic in its evocation of an Arcadian past, and painted in a misty soft-edged style that contrasts sharply with the luminous clarity of his more topographical work. 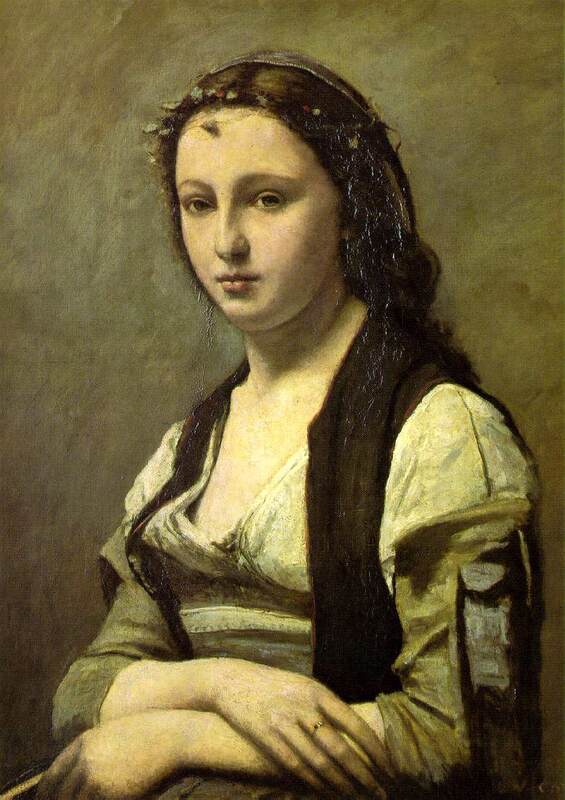 Late in his career Corot also turned to figure painting and it is only fairly recently that this aspect of his work has emerged from neglect -- his female nudes are often of high quality. It was, however, his directness of vision that was generally admired by the major landscape painters of the latter half of the century and influenced nearly all of them at some stage in their careers. His popularity was (and is) such that he is said to be the most forged of all painters (this in addition to an already prolific output). In his lifetime he was held in great esteem as a man as well as an artist, for he had a noble and generous nature; he supported Millet's widow, for example, and gave a cottage to the blind and impoverished Daumier.